It doesn't seem to be worried about your proximity. Interesting background on the species. 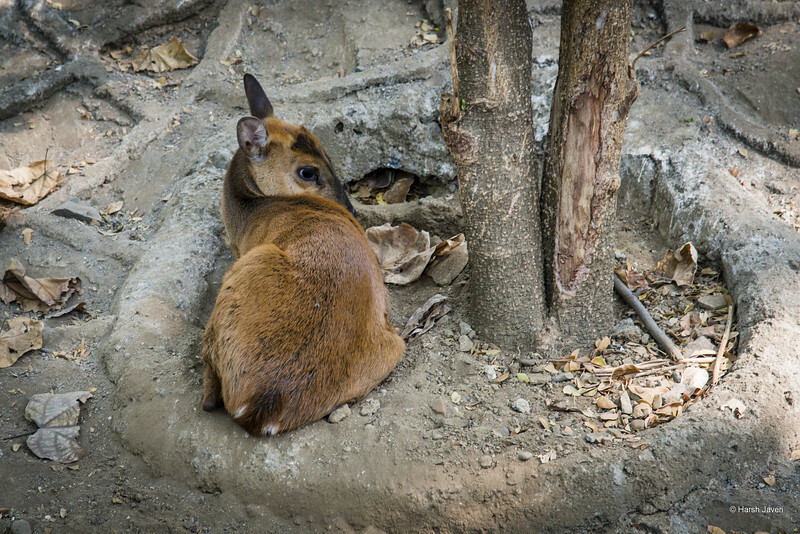 Love the detail you captured around the tree base where it is resting as well as the Muntjac. like the pose it struck for you:)... they have barking deer in Spain as well, it is the strangest thing, because they really do sound like dogs. Such a cute little guy, love those BIG ears.